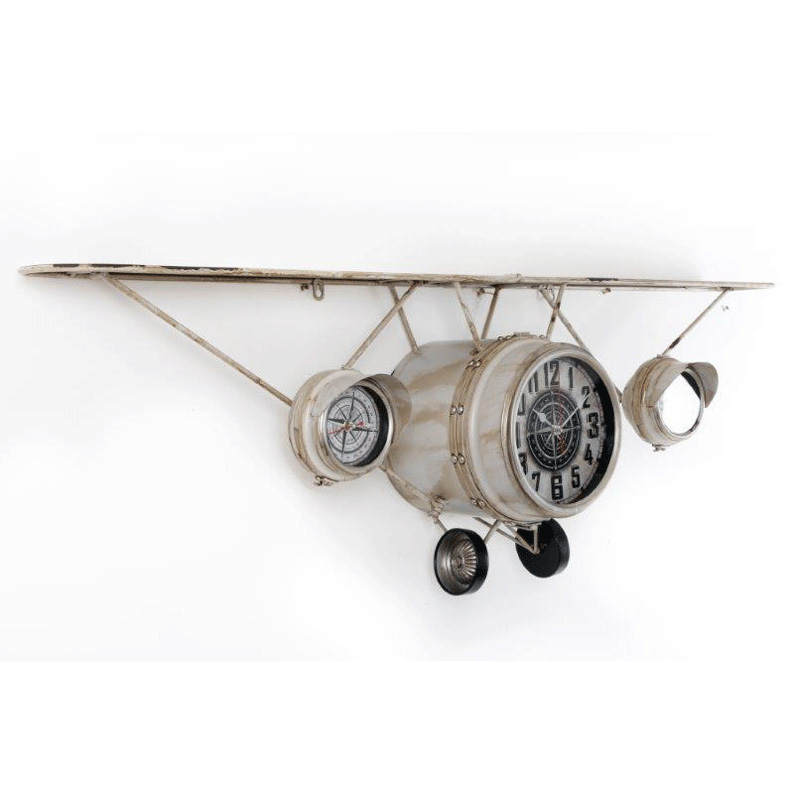 This fun wall plane offers extra shelf space, a clock and a fun vintage look. Ideal to hang in a study, an office, a bar or a boy's room, it is beautifully crafted from metal and finished in an aged off-white colour. The front of the plane features a clock, one engine holds a compass and the other offers a mirror. This unusual and unique piece from our exclusive clock collection makes a fabulous décor statement in any home. Size is a very large W125cm x H40cm.